The Pantanal is one of the most beautiful regions of Brazil. It’s among the few wild places in the country to be classified as a UNESCO Natural Heritage site. 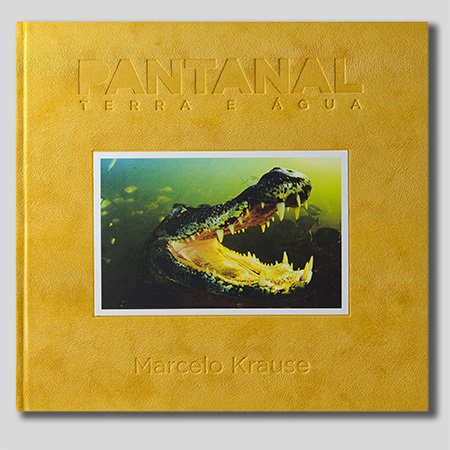 In this new book published by Underwater Books the celebrated wildlife photographer Marcelo Krause take us to an unforgettable journey across the Pantanal. Featuring award-wining images in both national and international photo competitions, the book is a vast collection of images of the wetland and it’s animal life. Pantanal Terra e Agua goes beyond the usual and features the life under the water. The nutrient rich waters of the Pantanal support almost 300 different species of fish. Dorado, pacu, piranha, catfishes, caimans, and anacondas: the life beneath the waters in the Pantanal is featured from the river springs trough it’s mouth. The books tell the story of all the Pantanal main characters. Finished in special papers in both the cover and the internal pages, the book is a perfect gift for all those who admire the Pantanal or wildlife photography.